Like all Pokémon games, when you begin your adventure, the region's professor, Professor Oak, will give you your first starter Pokémon. 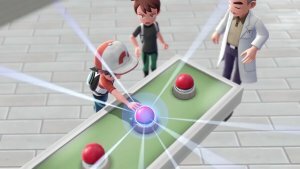 In these games, however, you don't get an in-game choice of your starter Pokémon but rather it is decided by the game you're playing. 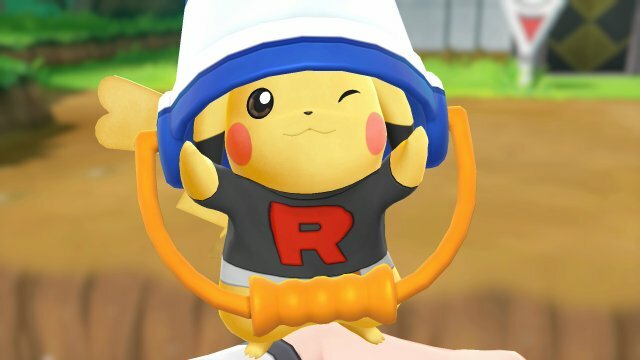 You get Pikachu in Let's Go, Pikachu! 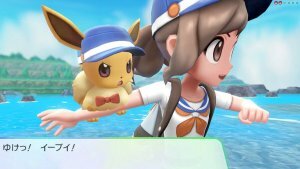 and Eevee in Let's Go, Eevee!. Let's Go, Pikachu! Let's Go, Eevee! 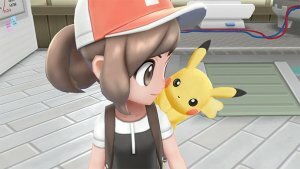 At any time, you'll be able to bring up a menu and interact with Pikachu & Eevee in a similar manner to Pokémon Amie and Pokémon Refresh in previous games. You can also feed them berries. The Pokémon will often be tickled or enjoy the petting. Each time they enjoy it, there will be a happy aura around them. This will increase their affection which will allow for them to get special boosts in battle including increased Critical Hit chance, ability to remove status conditions and hold on in battle. After you have played with it a lot, it will often activate a symbol to talk to you on the overworld. 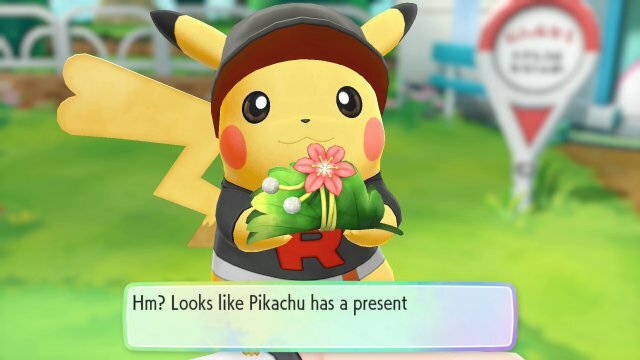 If you do this, you will receive various gifts from your partner Pokémon and they often depend on where you are when your partner gives you the gift. For example, the Beach Glass item is more likely to be found when you're in a sandy area. Beach Glass A piece of colored glass. Waves have rounded its edges. It’s slightly rough to the touch. Chalky Stone A small whitish stone picked up at the edge of the road. Gold Leaf A mysterious gold leaf. No trees with this leaf have been found yet. Heart Scale A pretty, heart-shaped scale that is extremely rare. Some people are happy to receive one. Leaf Letter A letter written on a leaf. Something is written using Pikachu’s footprints. Leaf Letter A letter written on a leaf. 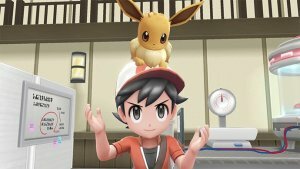 Something is written using Eevee’s footprints. Lone Earring A single earring that somebody dropped. Marble A round glass marble. You can see colored glass inside the transparent marble. Polished Mud Ball A ball made of mud. It had been polished for such a long time that the surface is very shiny. Pretty Wing Though this feather is beautiful, it’s just a regular feather and has no effect. Silver Leaf A mysterious silver leaf. No trees with this leaf have been found yet. Small Bouquet A small bouquet that was made with heart and soul for a single Trainer. Stardust Lovely red sand that flows between the fingers with a loose, silky feel. It can be sold at a low price to shops. Stretchy Spring A thin small spring. It’s totally stretched out, and what it’s used for is unknown. TinyMushroom A very small and rare mushroom. It’s popular with a certain class of collectors. Tropical Shell A beautiful white shell that may have drifted from a sea in a warm region.